Hirosaki Park is no less than a paradise with more than 2,500 cherry trees which have five-seven floral buds instead of three-four, thus creating an angelic aura. It has fifty different types of cherry including Somei Yoshino cherry blossoms, Shiddarezakura (Weeping Cherry), and Yaezakura (Double Layer Cherry). The 400 years old Hirosaki Castle decorated with the blossoms is a sight to behold. Cherry blossom tunnels, petal filled moats, rental boats and illuminations at night are mesmerizing. The best time to plan a trip is during Hirosaki Sakura Matsuri when over 2,000,000 visitors visit the park.It is one of the places few places famous among tourist to watch Cherry Blossoms around the world. Aso Kuju National Park is one of the best tourist attractions in Japan. Paris has much more than fancy figures. The long stretch of Champs de Mars that extends from the Eiffel Tower to the École Militaire is also a home to the mesmeric cherry blossoms that ornament the Eiffel Tower and welcomes the spring season with a sweet melody. The pink and white petals on the snowflakes look no less than a beautifully painted canvas. The alluring picture of the Eiffel Tower and blossoms attract more tourists. The best time to visit is between Early March and late April. You will also find interesting reading about beautiful places to see the Northern Lights. Sakura Masturi festival in Brooklyn Botanic Garden celebrates the traditional and contemporary Japanese culture with more than 60 events as a part of the celebration. Having forty-two different varieties of flowering cherry trees outside Japan makes this spot unique. The cherries were originally purchased from a local nursery in 1921 and two from the original planting still survive. The Cherry Esplanade bearing the double flowering cherries typically bloom at the end of April, during the Garden’s annual Sakura Matsuri. You should also know about spectacular wonders of the world. The five hectares garden located in Cowra, in the Central West region of New South Wales is the largest Japanese Garden in the Southern Hemisphere. The Cherry trees are at their peak bloom in September and the visitors can witness the glimpse of Japanese culture like Ikebana Display, Tai Chi Demonstrations, Taiko drummers, Torsion and Karate during the festive season. The park located in the city of the Curitiba-the capital of the state of Parana is a major tourist attraction. Being home to a large number of Japanese immigrants, Brazil is a replica of rich culture and tradition. The Cherry trees that stand aligned through the walkways of the Botanical Garden of Curitiba are a sight to behold. The trees bloom usually in the month of June. Cherry trees can also be seen in Praça do Japão, Jardim Botanico, and Parque Tangua. Also, read about best national parks in the USA. The Valley close to Caceres (Extremadura) shines as if it is filled with little Suns with over two million Cherry trees flowering white cherry blossoms that last around two weeks. The villagers host the annual ‘Fiesta del Cerezo en Flor’ in March to welcome the tourists. The scenic beauty is enhanced during the month of June and July when the cherries are ripe and red in color. Constructed as high as 152 meters above the sea level, the 52 hectares Queen Elizabeth Park is the highest point in Vancouver. The Vancouver Cherry Blossom Festival invites artists from all over the globe, along with the blossom watchers. Having 40,000 different cherry trees, Vancouver also has several varieties of trees that bloom with a two-month stretch. During the yearly festival, the park is decorated with colorful lanterns in the evening making the place picturesque. The ties between Hamburg and Japan are strong enough to make Osaka (one of Japan’s largest metropolis) one of its nine sister states. The Hanami fest “Kirschblutenfest” in Hamburg greets the captivating Cherry blossoms celebrating its ties with Japan. The festival starts with gorgeous fireworks. The city was given several hundred cherry trees in the 1960s which had been planted near the Alster Lakes and in the Altonaer Balkon Park and have been glorifying the beauty. Kungstradgarden Park in Central Sweden dates back to the Middle Age and is home to soft pink cherry blossoms. In 1998, sixty-three Japanese Cherry trees were planted here. 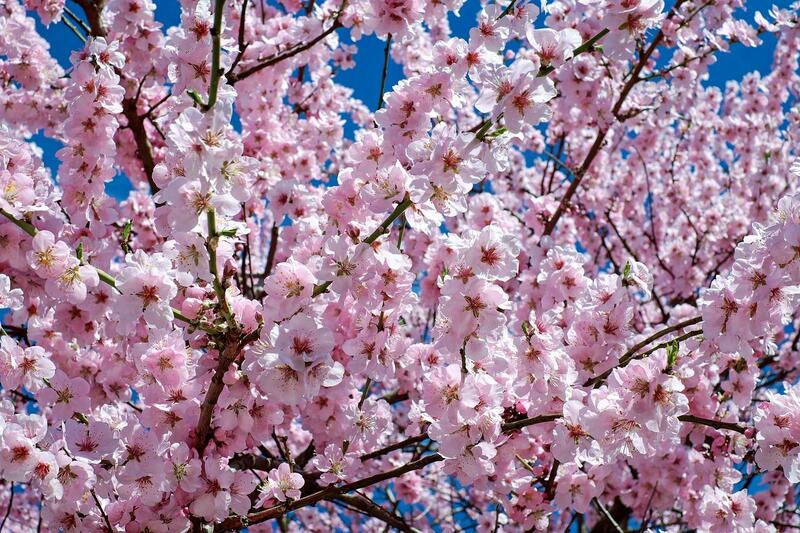 They bloom in April and April 22 is the annual Cherry blossom Hanami festival in Stockholm. The event organized by Japanese association included Sakurakoren (Sakura Choir), Origami, Japanese food, Kyodo demonstration (Japanese Archery), among other performances. People enjoy the event by cherry walks, picnicking or sitting under the bloomed tree. It is one of the best places to see Cherry Blossoms around the world. The Cherry blossoms are no more just limited to the Japanese culture. The flowers symbolizing the cycle of life, have even weaved the strings of friendship and peace. Viewing the Cherry Blossoms around the world and capturing the moment is indeed a must in the bucket list.